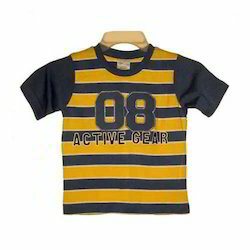 Boys Round Neck T-Shirt offered can be made available in different finish style choices to pick from. Delivery Time: 12-15 working days from the confirmation the order. 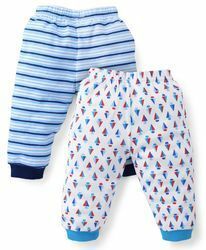 Baby Wear options offered is made available in different fabric choices like 100% cotton, 100% polyester and others as per the requirement of the customers. 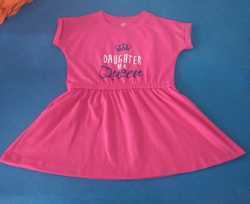 Baby girl t shirt offered comes in quality construction finish and provides for superior wear comfort. We are pleased to introduce our self as one leading manufacture of the baby garments in tirupur and hosur. 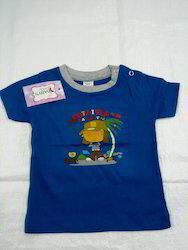 Baby T Shirts offered can be made available in different finish style choices to pick from. Packaging Details: single piece poly bag or sizes wise packing. Cotton Custom Baby Clothes options offered is made available in different fabric choices like 100% cotton, 100% polyester and others. As a famous name of the market, we are supplying a large collection of Kids Rompers to the customers. Our offered products are fabricated with soft and quality proven materials with the aid of latest fabrication techniques as per the industry set standards. Moreover, we are offering these products in various alluring designs, sizes and color combinations as per the customer choice. Customers can avail these products from us in promised time frame at reasonable price. Kids Wear options offered is made available in different fabric choices like 100% cotton, 100% polyester and others. 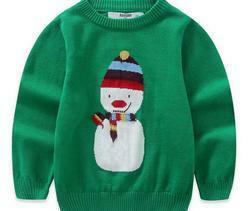 Our company is among the most sought after providing Knitted Clothing to our various clients. Our offered Knitted Clothing is specifically designed by making use of optimal-grade fabric which we acquired from specialized vendors of the industry. Apart from this, by dispatching the same to the customers' premises in committed time-period, we have mustered huge client-base. 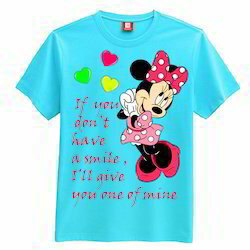 Kids T-Shirt options offered comprise quality finish based kids T-shirts and are available in different mesmerising design choices. Our company is among the most sought after providing Knitted Clothing to our various clients. Our offered Knitted Clothing is specifically designed by making use of optimal-grade fabric which we acquired from specialized vendors of the industry. Apart from this, by dispatching the same to the customers' premises in committed time-period, we have mustered huge client-base. Delivery Time: 12-20 WORKING DAYS FROM THE DATE OF APPROVAL. We are manufacturing and supplying to our valued customers a fine range of Trendy Boys Top and Bottom Sleeveless Set in Chennai, Tamil Nadu, India., which are reckoned for providing utmost comfort and skin friendliness to kids. 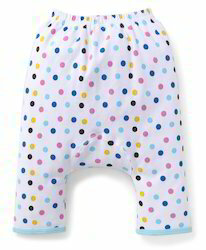 Our company excels in offering Girl Kid Pajamas to the clients. Girl Kid Pajama can be availed in various customized designs, colors, shape, and can be customized as per need of respected clients. Offered range is designed by using premium quality of fabrics and latest technology under the guidance of skilled craftsman. This product is available in various colors, design and patterns. Offered range is an ideal choice to wear in nigh time or sleeping time. This product is broadly appreciated by esteemed customers for long lasting and fades free nature. Our company is among the most sought after providing Kids Sweat Shirts to our various clients. 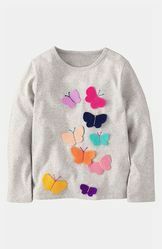 Our offered Kids Sweat Shirt is specifically designed by making use of optimal-grade fabric which we acquired from specialized vendors of the industry. Apart from this, by dispatching the same to the customers' premises in committed time-period, we have mustered huge client-base. With our long and rich experience in the field, Sudharshaan Impex is able to offer a wide collection of Polo Shirts . 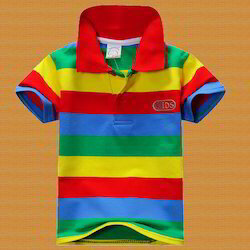 Our product are designed from the optimum quality fabric & best techniques.We are the leading manufacture in polo shirts. 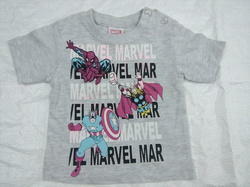 Kids Boys T-Shirt offered can be made available in different finish style choices to pick from. Delivery Time: 3-4 working days from the date of approval. Packaging Details: single piece poly bag or set of poly bag.As per customer choice. 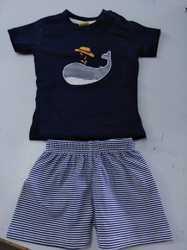 Looking for Kids Wears ?